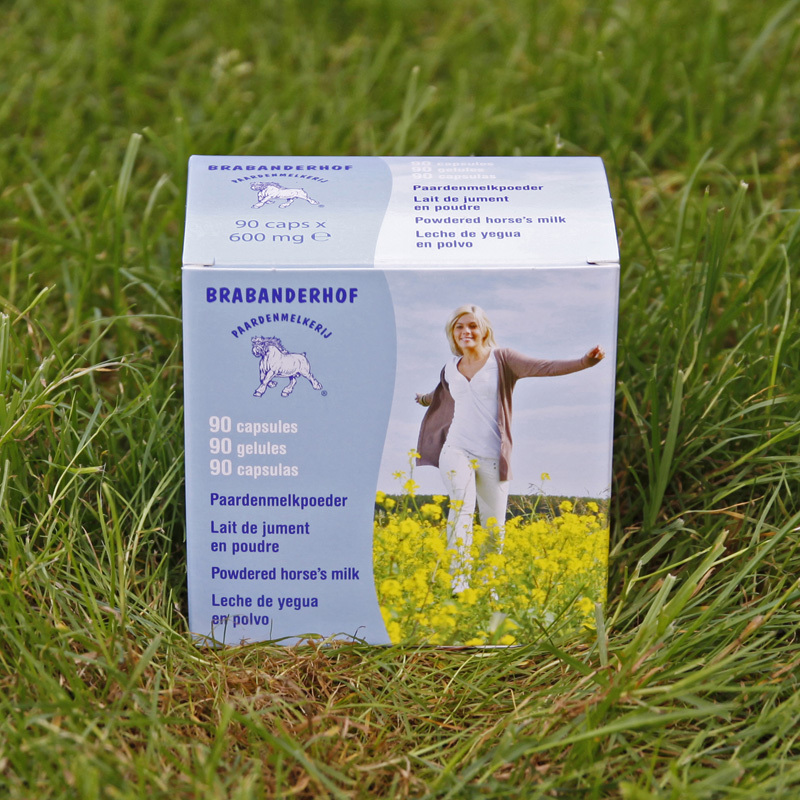 Brabanderhofs Powdered Horse’s Milk, unique in Belgium! In addition to the frozen fresh horse’s milk, buttermilk and drinking yoghurt powdered horse’s milk is also now available. 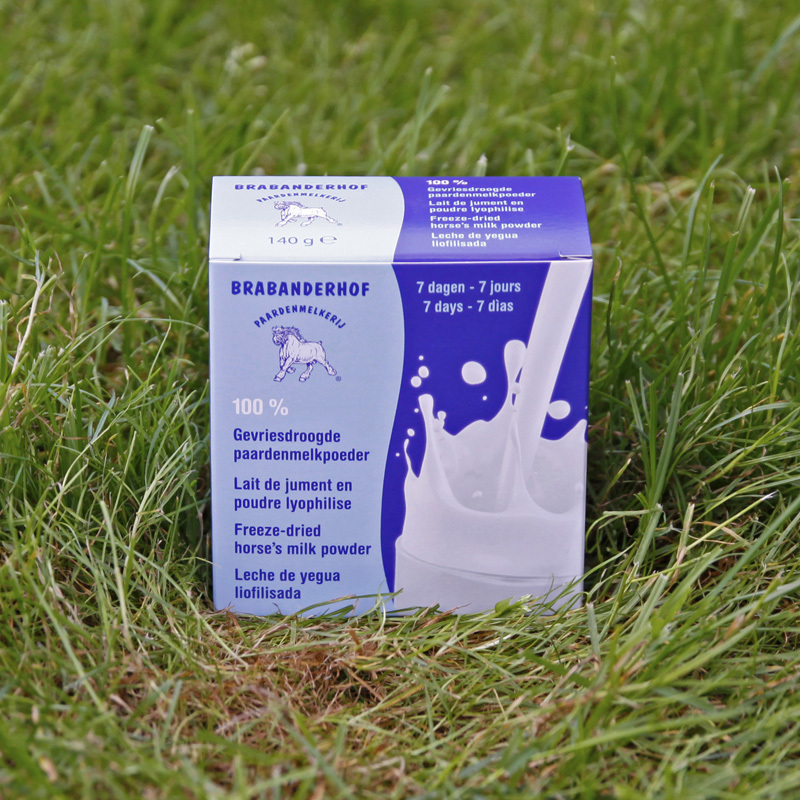 The milk is freeze-dried (the only way of retaining all its qualities) into powder form. 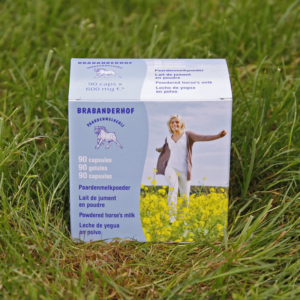 The name Brabanderhof Powdered Horse’s Milk guarantees 100% pure, freeze-dried, powdered horse’s milk, without the addition of any preservatives, flavourings or colourings. Its properties are identical to those of fresh horse’s milk. This powder is ideal for holidays, trips abroad or if you do not have a deep freeze. Daily recommended amount: 20 gr. powder (1 bag). The powder can be dissolved in water or simply be eaten (e.g. on bread or in a pot of yoghurt). Consume within 1 year. Store in a cool and dry place. 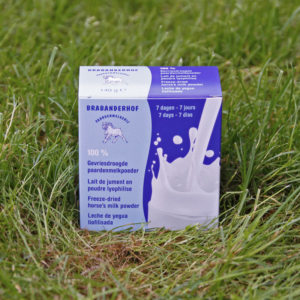 Our milk processing area complies with all hygiene and quality standards. 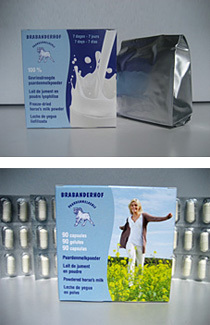 Contains 90 capsules (600 mg/caps) for 30 days. 3 Capsules a day or as recommended. For a good result take 4 to 8 weeks daily 3 capsules. 1 package of 140 gr (1 week). Daily recommended amount: 20 gr powder (1 scoop). 4 packs of 140 gr for one course (4 weeks).